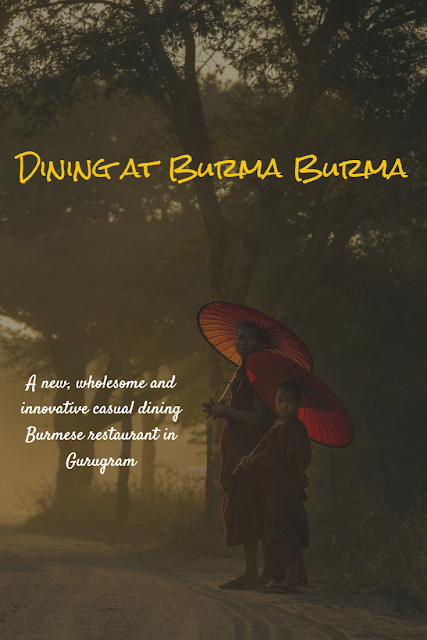 In this blog post, I cover Burma Burma, a new casual dining Burmese restaurant in DLF Cyber City, Gurugram. For the uninitiated, I have never been to Myanmar (a.k.a. Burma) but it is definitely one country I want to tick off my bucket list. Steeped in fascinating history and traditions, Myanmar is hailed as one of the most magical and undiscovered destinations in the world today. 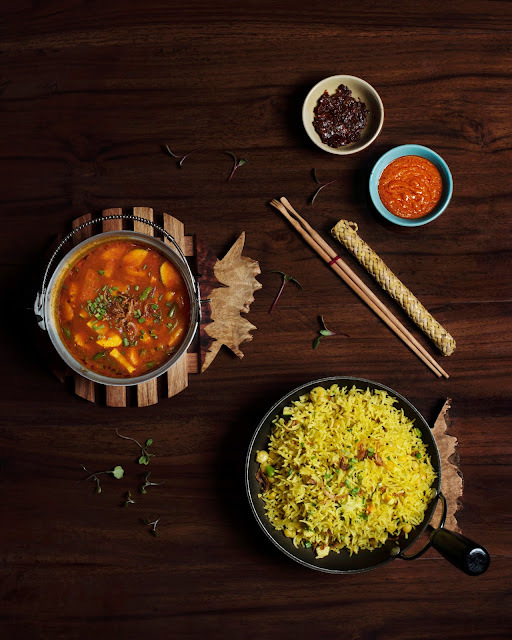 The closest I've come to know Myanmar is through its amazing cuisine, courtesy Burma Burma, a new, wholesome and innovative casual dining Burmese restaurant in Gurugram. Myanmar is geographically divided into several regions, amongst which Kachin, Mandalay, Rakhine, and Shan remain the most popular. 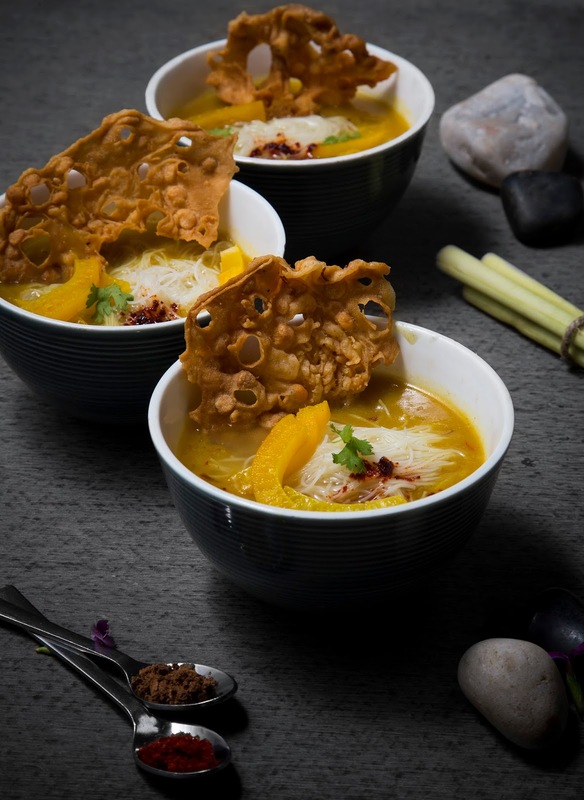 According to an urban legend, the migrants from these regions carried their recipes along with them and later introduced and innovated the same in new regions; giving birth to what we know as the Burmese cuisine. 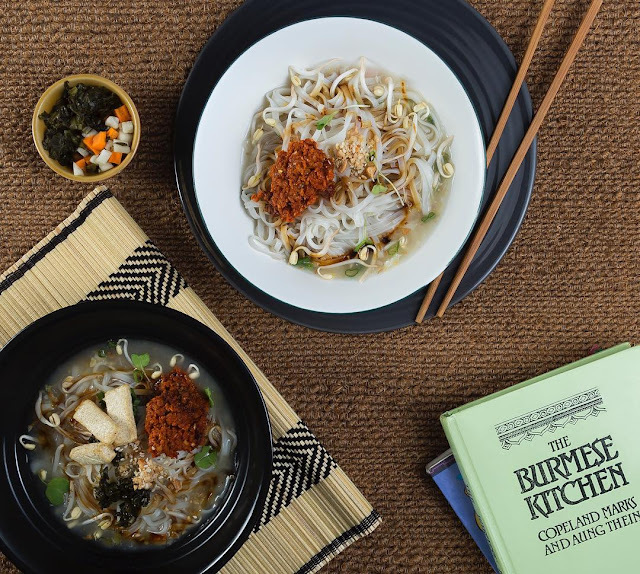 As of today, the Burmese cuisine remains more or less the same across all regions of Myanmar. Opened in June 2016, the restaurant takes much pride in bringing you the culture and authentic taste and cooking from Burma, lovingly prepared from the treasured family recipes. 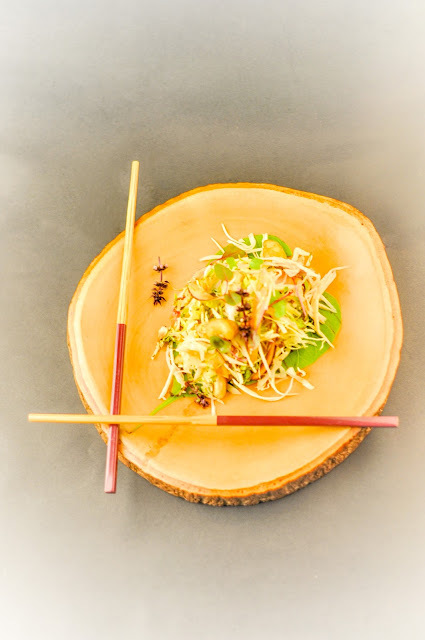 Burmese cuisine is still unexplored in this part of the world and the restaurant succeeds to a large extent in bridging that gap, providing a dining experience that interacts on various levels. 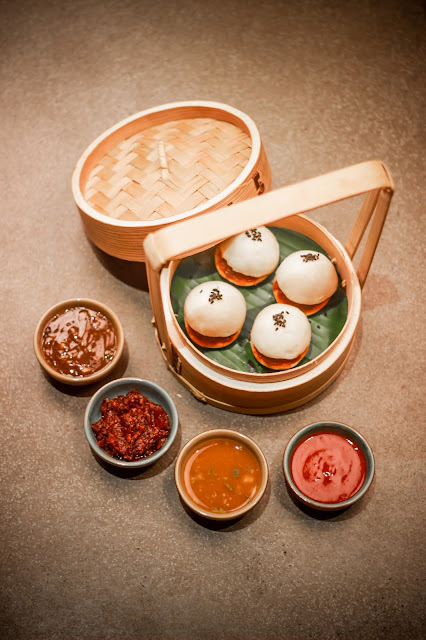 In fact, the experience can be best described as a 'virtual' food trail starting from the street vendors of Burma and culminating at the high-end restaurants across metropolitan cities like Mandalay and Yangon. 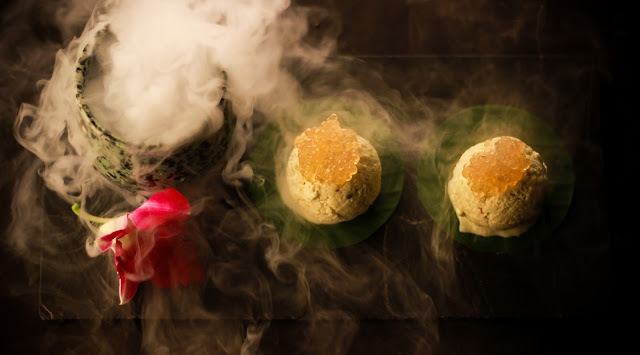 From steamed buns (paukse) to parathas (palathas) and from fermented green tea leaves to Burmese falooda, Burma Burma promises you a scintillating experience of tastes and flavors that are absolutely unique! 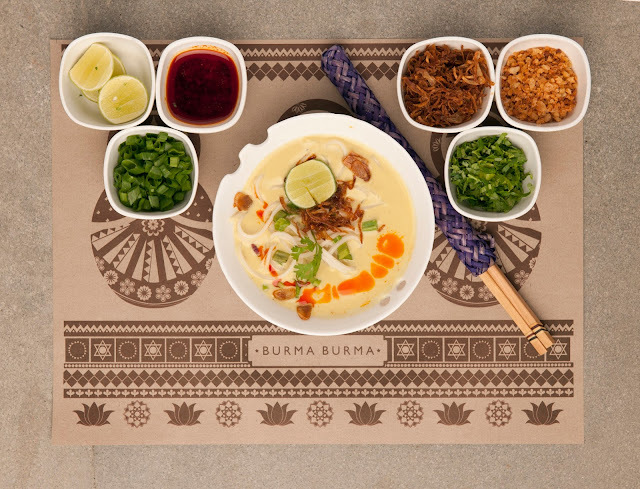 The best part about the cuisine at Burma Burma is that it is purely vegetarian, characterized by sour, spicy and raw flavors. 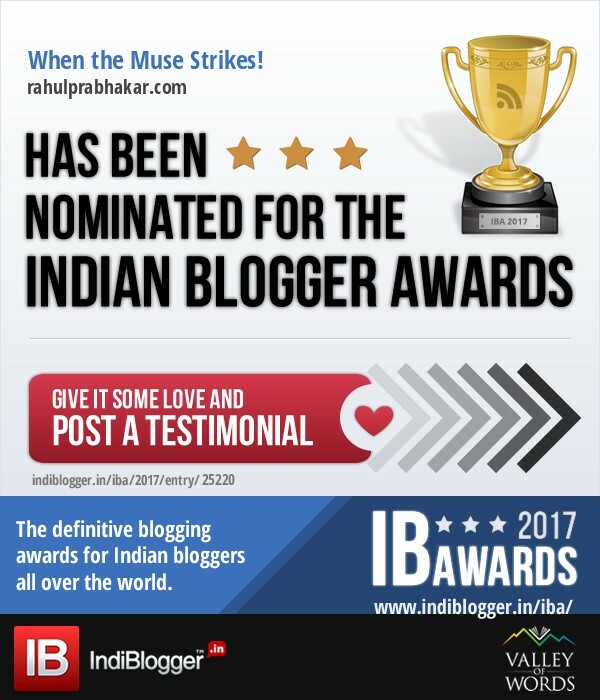 There is nothing 'religious' behind this decision though! 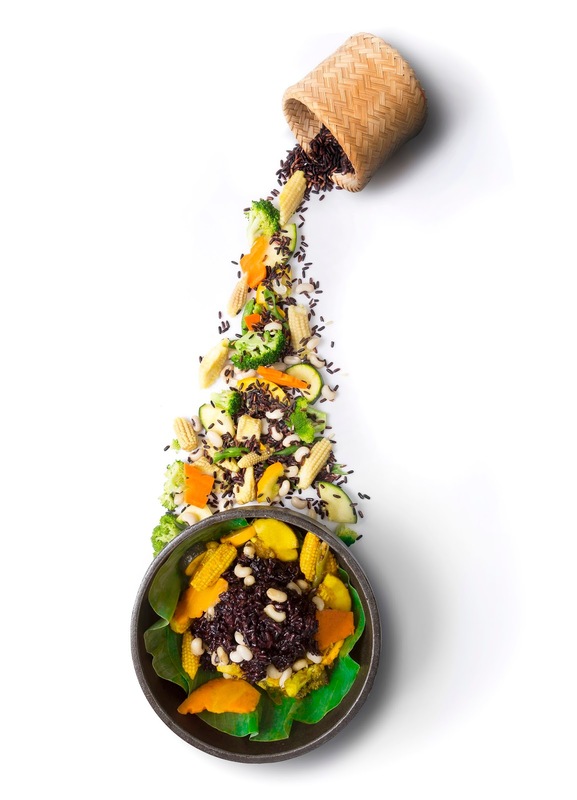 The idea to go 'all veg' is pretty much in sync with the vegetarian 'healthier' phenomenon that is taking over the world in a big way. 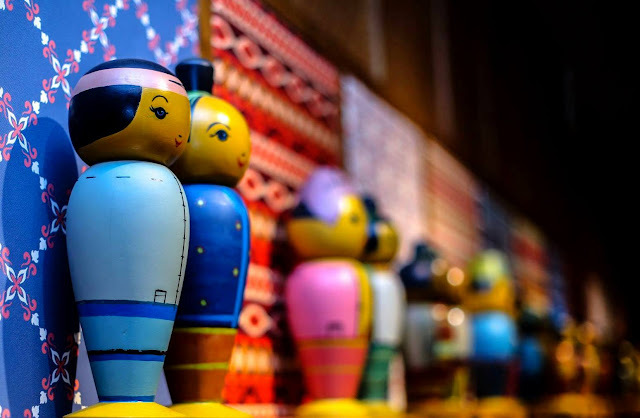 Coming to the décor, central to the theme of the restaurant, the restaurateurs have taken inspiration from the amazing diversity of the various tribes of Burma. 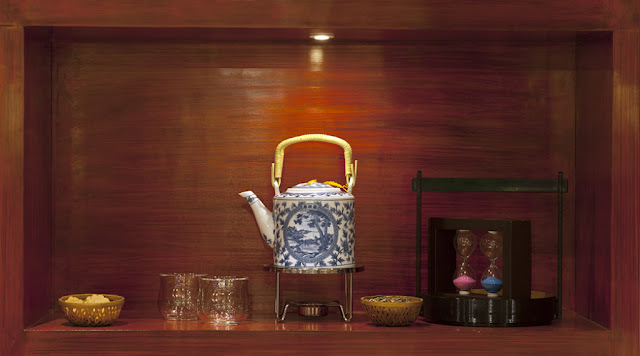 The restaurant's décor features a carved wall with elements from Burmese culture like the lotus flower, an owl, two fishes, etc. The pagoda lights are another visual translation of Burma. 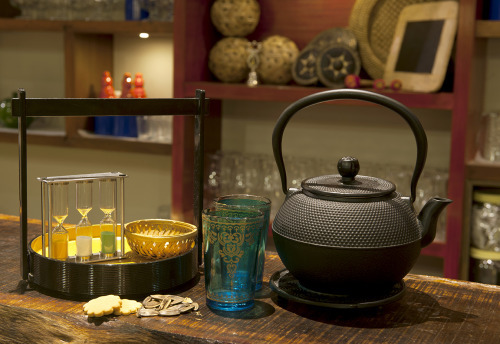 The tea bar remains a big part of the Burma Burma brand and keeping in continuation with that, a display with Burmese artifacts and lacquerware has been constructed, which forms the backdrop of the bar. The tribes of Burma also appear on the extended menu. The tribe special dishes available at the restaurant include the Tohu Kyaw, Shan Khowsuey from the Shan Tribe; Mohingar and Laphet from the Bamar Tribe; Kachin Salsa from the Kachin Tribe; Seaweed/White Fungus salad from the Rakhine Tribe; and Wah Ahloor Kyaw from the Wah Tribe. 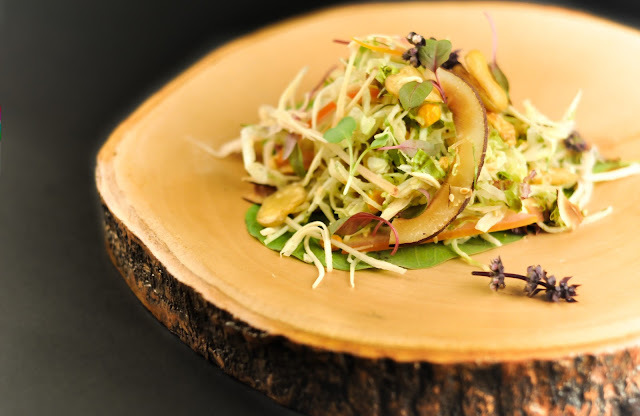 My favorites comprise the Tea Leaf Salad which is recognized as the dish of Burmese nationality, Gin Thoke/Pickled Ginger Salad, and Tayat Thi Thoke/Raw Mango Salad, to name a few. The various varieties of Khow Suey and the ever popular Samosa Hincho or Samosa Soup can be enjoyed at the restaurant. Here are my top recommendations at Burma Burma. A refreshing drink that contains the goodness of freshly muddled mandarin and pomegranate. Made of coconut water, dragon fruit, and elderflower syrup, this is a perfect drink for any occasion. Made of fresh lychee, ginger ale, lychee juice, and basil. Made of tamarind pulp, coconut shavings, mint, and Burmese jaggery. Samosa served in tangy soup with cabbage, carrot, and capsicum. A slightly unusual way of eating samosa but the preparation is absolutely topnotch. Made of garlic and soy flavored broth with sour roselle leaves. 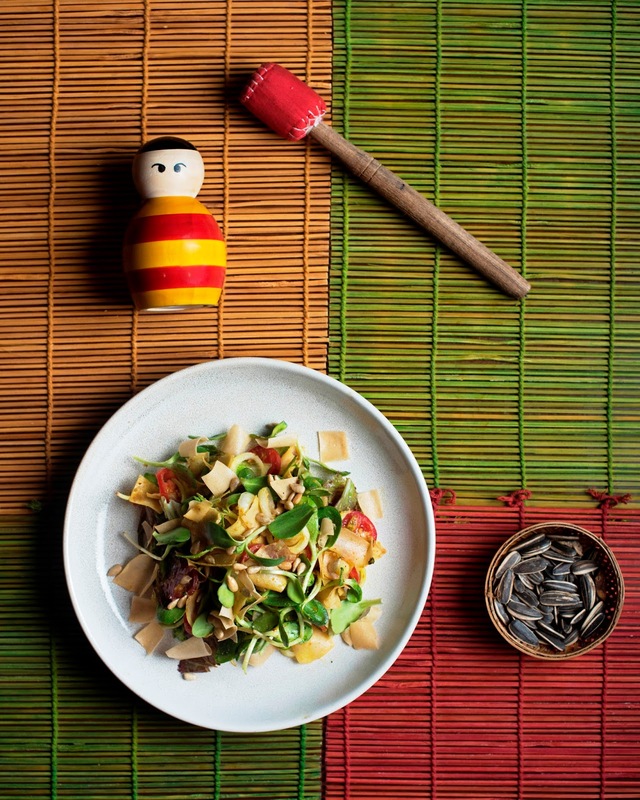 A mix of fermented tea leaves, fried garlic, sesame seeds, nuts, tomato, and jalapenos. I was told that nearly 80 percent of the tea production in Myanmar goes in making laphet - a traditional treat unique to Myanmar. This salad contains guava with crushed peanut, red chili, and brown onion. Made of white fungus with summer vegetables tossed in tamarind and burned garlic dressing. This appetizing starter contains Burmese chickpea tohu tossed in chili tamarind sauce. These lotus stem chips were made to perfection, dusted with paprika and curry leaves. These yummy corn fritters are tossed in tamarind and palm jaggery sauce. A simple country style curry of vegetables with ginger and sweet soy. 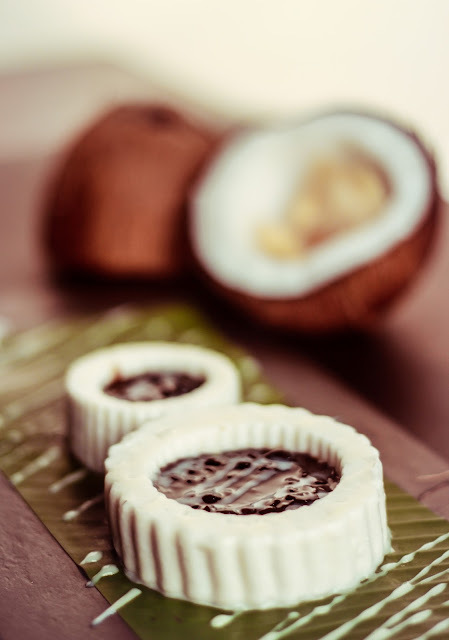 This dessert contains chilled coconut milk served with sweet bread, coconut jelly, and lotus seeds. This dessert contains chilled coconut custard with pineapple and toffee. The restaurant is spread over 1,600 square feet of covered area with a seating capacity of nearly 58 people. Open every day from 12 noon to 3 P.M. and from 7 P.M. to 11 P.M., Burma Burma is the brainchild of restaurateurs and childhood friends, Ankit Gupta and Chirag Chhajer, who have invested in three swanky outlets* - one each in Mumbai, Delhi, and Gurgaon. 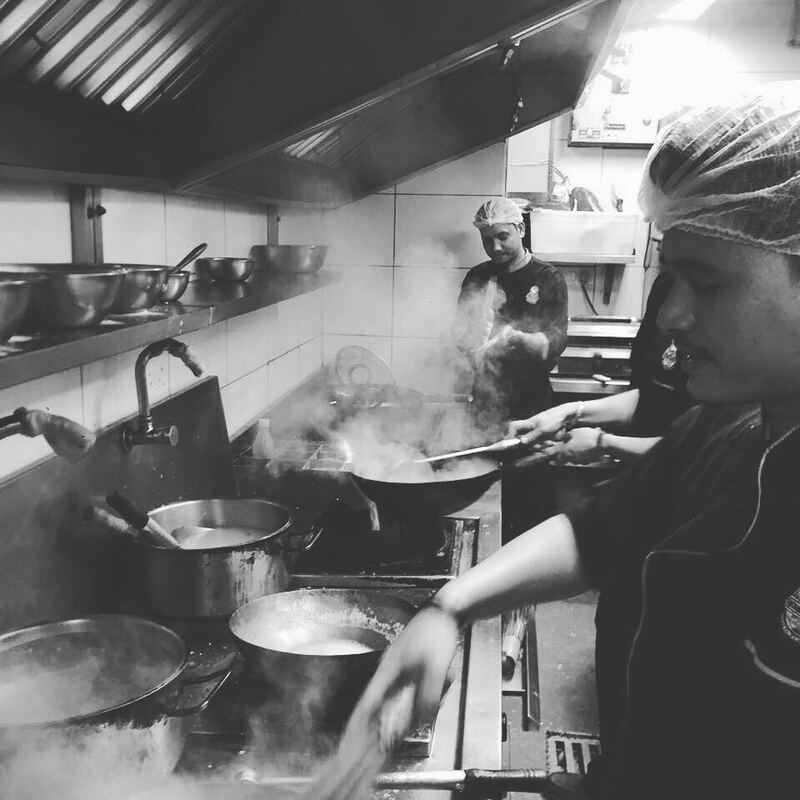 The kitchen is in the capable hands of Head Chef Ansab Khan. The idea of Burma Burma stems from Gupta's Burmese roots. 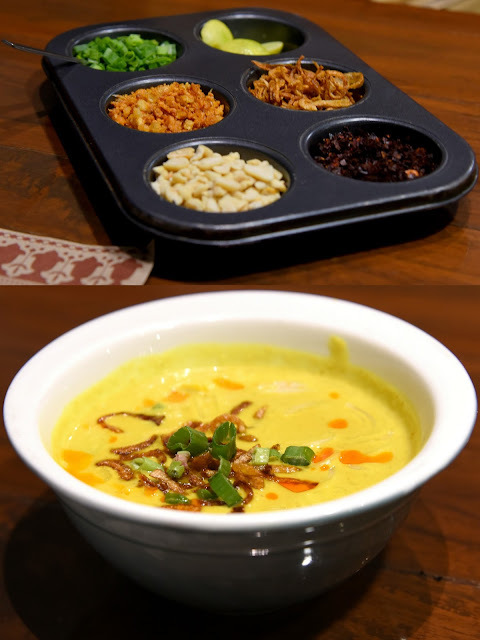 His mother was raised in Myanmar and it was her who introduced Gupta to the heady flavors of the Burmese cuisine. 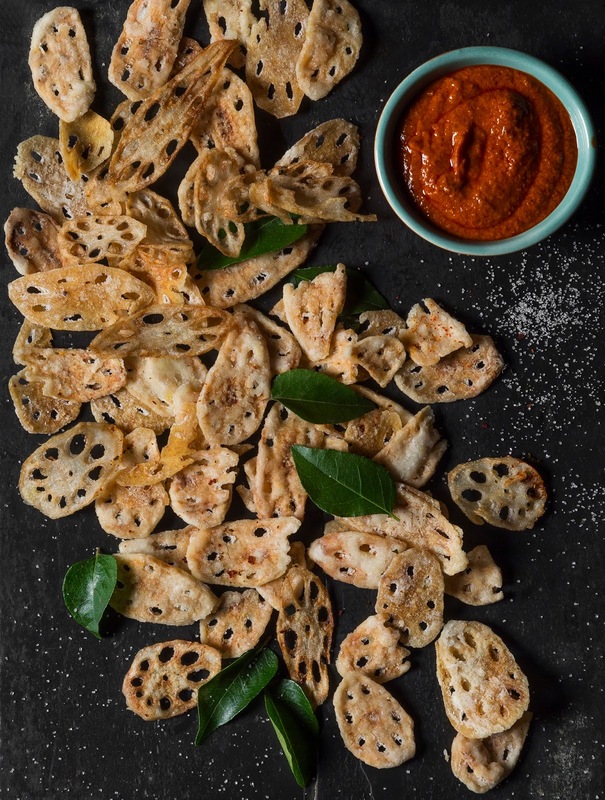 Gupta, a third-generation restaurateur, belongs to a lineage of hoteliers and restaurateurs; his mother's delish recipes, combined with his father's panache for business, inspired Gupta to form a powerful amalgamation of the two, the result of which is Burma Burma. Armed with the concept, design, and layout, Gupta approached his childhood friend Chirag, a food enthusiast and an avid traveler, to turn their young dreams of owning a kitsch establishment into reality. The recipes date their origin back to Gupta's kitchen where his aunt Sumitra Modi and his mother Urmaila Modi experimented with tastes and flavors that Indians had never heard of. Once Gupta was firm on starting out his own venture, he and his head chef Ansab Khan traveled for a week to Burma in 2012 to explore the nuances of the cuisine. They spent those seven days trying out Burmese food from street shops, restaurants, and even relatives. 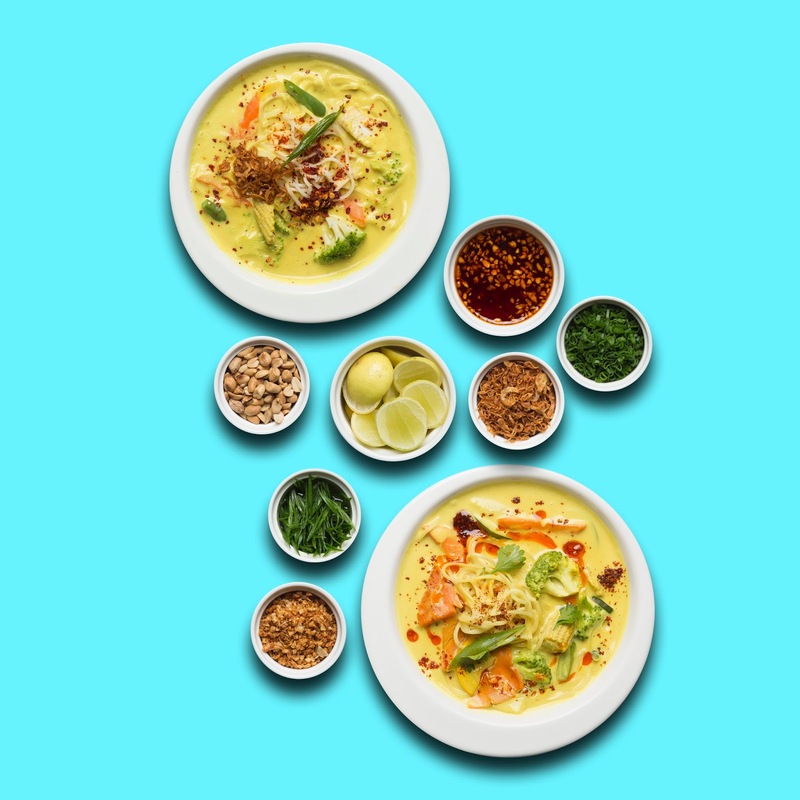 The more they tried, the more convinced they became about the far-reaching potential of Burmese cuisine in India. The authenticity of Burma Burma can be further highlighted, as a majority of the ingredients have been hand carried from Myanmar and Thailand. 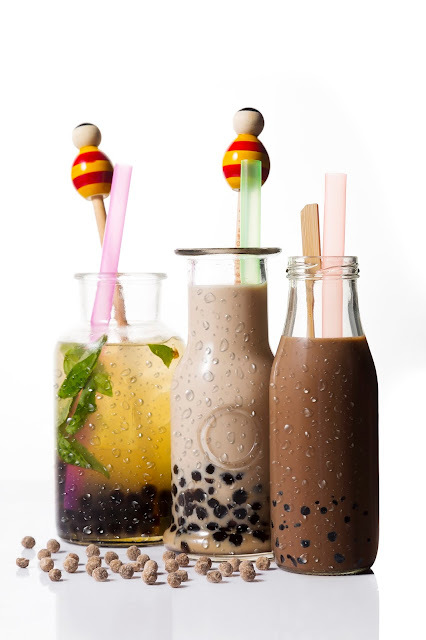 Entrepreneurs at an impressionable age of 26, with their first venture doing so well in three Indian cities, these young guns have a business-minded head on their shoulder and a delicious concept on their taste buds. 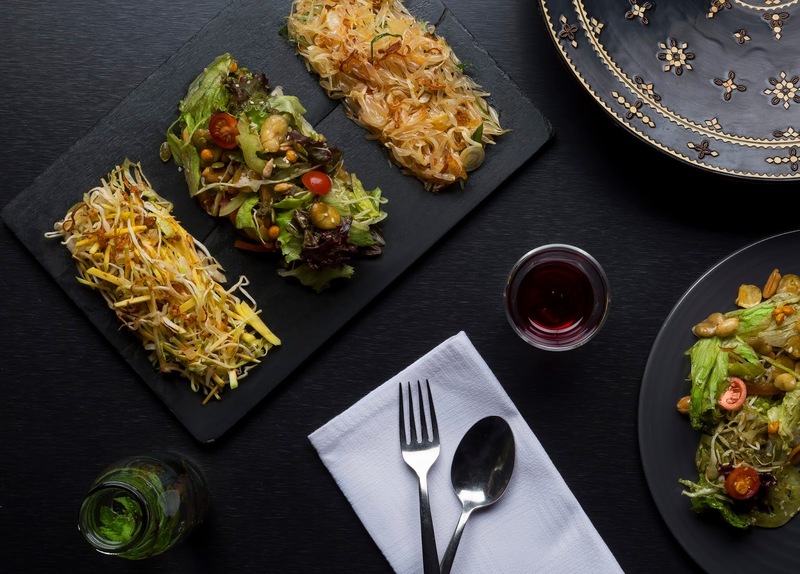 They firmly believe that the closeness of Burmese flavors to the Indian palate is the reason behind Burma Burma's stupendous success. I couldn't agree more! Make way for the rich taste and aromas from Burma Burma. This restaurant is a clear winner!